Josh's primary focus is in Windows security and PowerShell automation. He is a GIAC Certified Windows Security Administrator (GCWN) and GIAC Certified Forensic Analyst (GCFA). You can reach Josh at MSAdministrator.com or on Twitter at @MS_dministrator. Most IT professionals who work with PowerShell to build tools, scripts, or modules use the built-in PowerShell ISE (Integrated Scripting Environment) to build and debug their code. 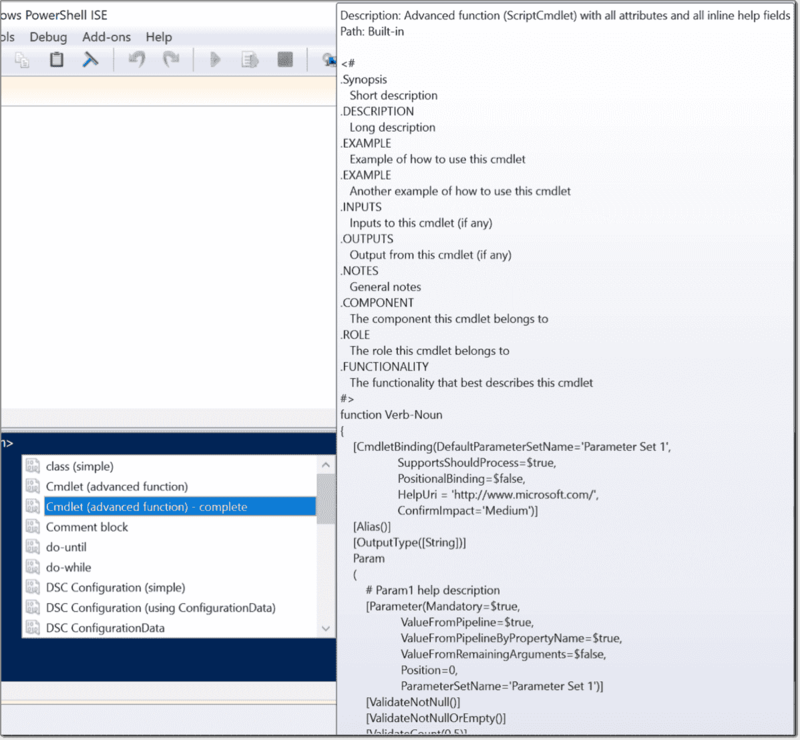 If you are unfamiliar with the PowerShell ISE console, you should definitely learn more about it here. 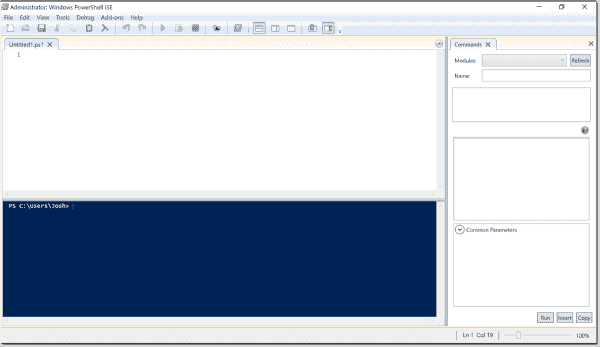 In summary, the PowerShell ISE is a built-in utility with graphic user interface that supports multiline editing, intellisense, syntax highlighting, and selective execution. 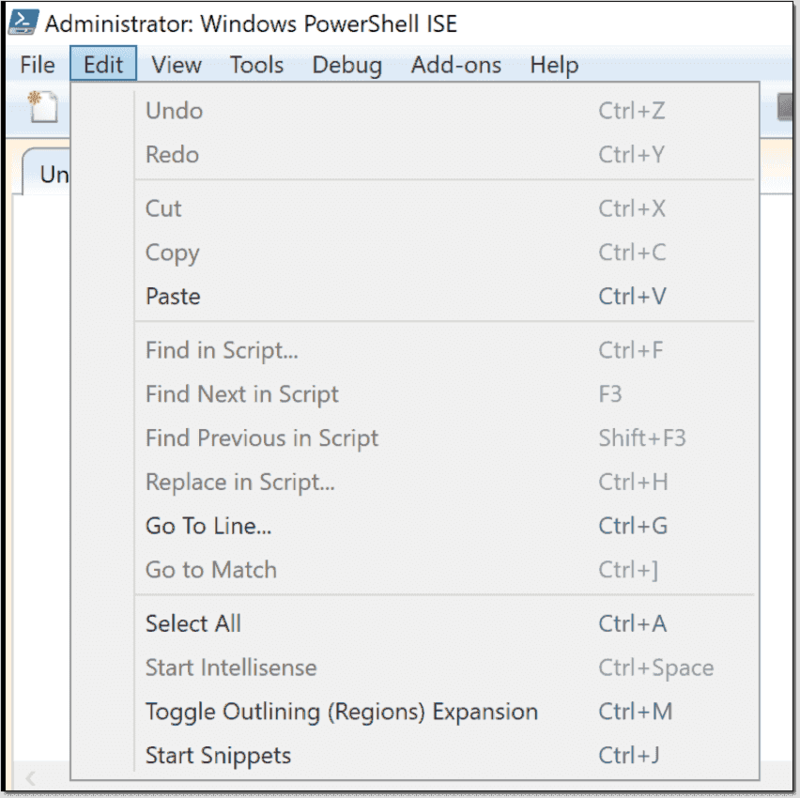 The PowerShell ISE has an extremely beneficial feature called snippets. By default, it has several templates that can assist the beginner and the experienced scripter. There are several default snippets available, depending on the version of PowerShell installed. To view the default snippets available to you within the PowerShell ISE console, go to Edit > Start Snippets. If you have noticed, the great thing about this feature is the keyboard shortcut, Ctrl+J. When I am developing or writing PowerShell, the first thing I do when I open my PowerShell ISE is this keyboard shortcut. I recommend when writing PowerShell functions that you press Ctrl+J and select either Cmdlet (advanced function) or Cmdlet (advanced function) - complete. These two specific snippets allow a user to use a template when creating PowerShell functions in the ISE. Additionally, they have snippets for classes, if statements, for/while/do/do-while/do-until loops, switches, Desired State Configuration (DSC) resources, and many more! These three cmdlets allow you to create new snippets, import custom snippets you have created or downloaded, and get snippets currently installed (besides the default snippets). To create a new snippet, you need to supply the New-IseSnippet cmdlet at minimum a Title, Description, and Template String (Text). Additionally, you can also specify the Author and a Character Offset (Location for the cursor once the template is used). The PowerShell ISE is extremely powerful as it is, but as you gain more experience with PowerShell and the ISE, you will find snippets extremely helpful, and they will speed up your development.